Home sales in Greenwich rose modestly in 2018 as buyers engaged with strategically priced properties. Value was a key driver for informed buyers as geo-political and financial markets uncertainty remained a headwind in 2018. A cooling real estate market in NYC also curbed activity from one of our larger buyer pools. Cob and neighborhoods close to Greenwich Avenue. There were 10 sales over $10M in 2018, an uptick from 2017 and a third consecutive year of gains in this price category. While the headline sounds promising, many of these sales came as a result of significant price reductions that yielded results. in place that could underpin a good year: low unemployment, continued low interest rates and the ongoing benefits of tax reform. On the other, we are entering 2019 with a drop in pending deal activity which would portend a weak first quarter. 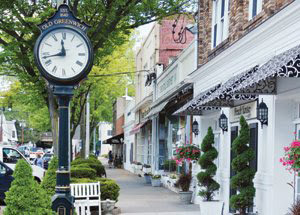 Houlihan Lawrence remains the #1 brokerage serving Greenwich, Cos Cob, Riverside and Old Greenwich. Our world class agents, innovative marketing investments combined with cutting edge market data help bring buyers and sellers together to get deals done. We have proudly been the leading firm in town for four consecutive years. Thank you. There are 28 Open Homes this Sunday.